This winter, Maui has been experiencing some of the most extreme weather in years! This has made for some interesting wedding stories and some spectacular photos! This was one of those extreme days. It was a day for waves and a wedding at Wailea Beach. Despite challenging weather, you can see that the bride and groom were just a happy couple, excited to be in Maui and to be in Love. A giant storm brewing in the Pacific sent us some epic swells! The beaches washed out and the waves crashed loud and strong against the shoreline. The surfers were loving it and so was this couple. This crazy weather made for some dramatic and beautiful shots. It was an evening of contrasts as this peaceful and bright couple stood on the rocks with a dark and looming background. All they could do was laugh as the waves crashed at their feet. Big Congrats to Jennie and Andrew! 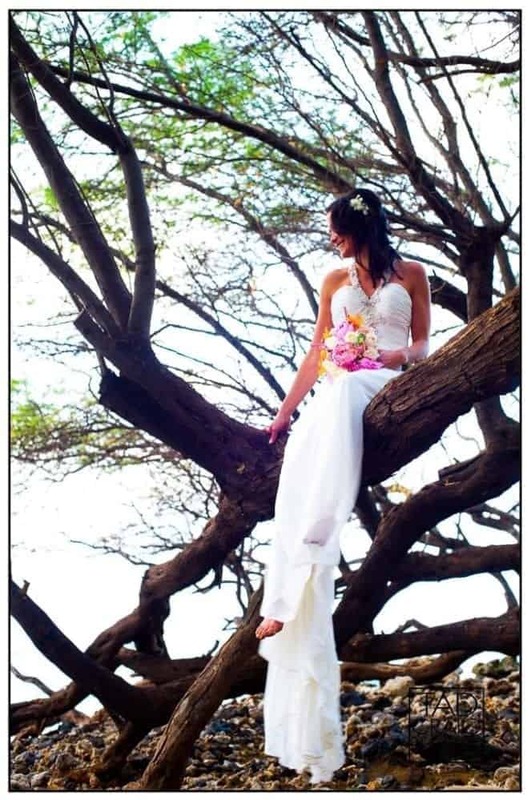 Many Mahalos to Marni of Maui Angels for coordinating this sweet elopement! Also shout to Tino Rosete for his perfect words & Sunya Flowers for the SPECTACULAR bouquet!